Miguel Chuaqui was born in Berkeley, California, and grew up in Santiago, Chile. He studied piano at the Escuela Moderna de Música and the Pontificia Universidad Católica de Chile. He completed his undergraduate studies at the University of California at Berkeley, where he majored in Mathematics and Music, studied electroacoustic music at CNMAT (Center for New Music and Audio Technologies), and went on to complete a Ph.D. in Composition with composer Andrew Imbrie. His music, which includes orchestral, chamber, vocal, and electroacoustic works, has been performed in many venues and festivals in the U.S. and abroad by the New York New Music Ensemble, Speculum Musicae, Parnassus, Earplay, Left Coast Ensemble, Empyrean Ensemble, Octagon, New York’s Riverside Symphony, New York Virtuoso Singers, Colorado Chamber Players, Canyonlands Ensemble, Abramyan String Quartet, Ensemble Bartok Chile, SEAMUS (Society for Electro-Acoustic Music in the U.S.), NYCEMF (New York City Electroacoustic Music Festival), Festival Ai-Maako (Santiago, Chile). Chuaqui has received commissions from the Fromm Foundation at Harvard University, the Koussevitzky Foundation at the Library of Congress, the Utah Arts Council (NEA), Meet the Composer, and from U.S. and international performers and ensembles. Honors include an Award in Music from the American Academy of Arts and Letters, an Aaron Copland Recording Grant, the Eisner Prize, a Nicola de Lorenzo Award, an award from the Society for Universal Sacred Music, and induction into the National Association of Composers of Chile. His works are released on Parma, Centaur Records, New World Records, and Albany Records, as well as on iTunes, Naxos Music Library, and other online platforms. Dr. Chuaqui hosted the 2008 SEAMUS (Society for Electro-Acoustic Music in the United States) National Conference, SEAMUS 2008, and his research interests include collaborations with colleagues in areas as diverse as Modern Dance (interactive dance systems) and the School of Medicine (interactive software development for therapeutic musical applications). 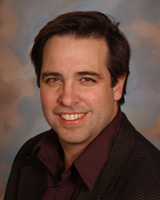 He currently serves as Director of the School of Music at the University of Utah.